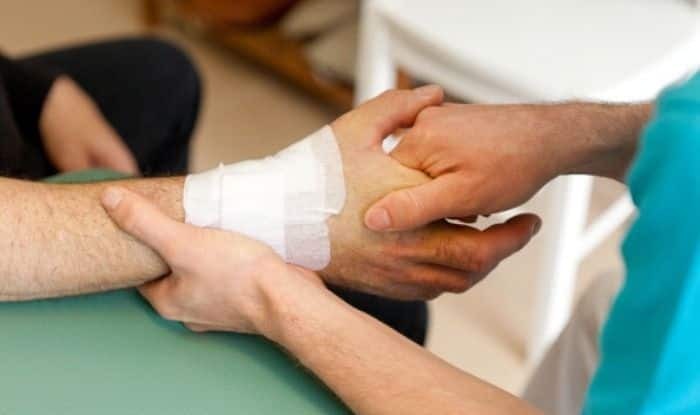 Researchers have developed a self-powered bandage that generates an electric field over an injury, dramatically reducing the healing time for skin wounds. Wounds covered by an electric bandage, or e-bandage, closed within three days, compared with 12 days for a control bandage with no electric field, showed the findings published in the journal ACS Nano. “This self-powered electric-dressing modality could lead to a facile therapeutic strategy for nonhealing skin wound treatment,” said the study. This current flowed to two working electrodes that were placed on either side of the skin wound to produce a weak electric field. The team tested the device by placing it over wounds on rats’ backs.